EXPRESS YOURSELF WISELY. We know you don't have to be a heavyweight to express yourself. 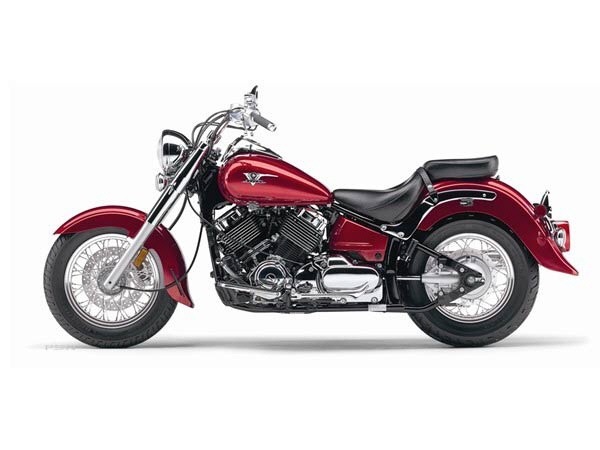 The way we see it, this Classic has all the Star quality and strong-running V-twin performance you want. It's up to you to say the rest. Large 4.2-gallon teardrop fuel tank features class-leading fuel capacity for extra long-distance cruising range. Long, low, 64-inch wheelbase adds to rider comfort and predictable handling. Comfortably placed full-size rider floorboards enhance ride by minimizing engine vibration and fatigue. Hardtail-look frame conceals a link-type, preload-adjustable single rear shock with 3.9 inches of travel for excellent handling and a plush ride. 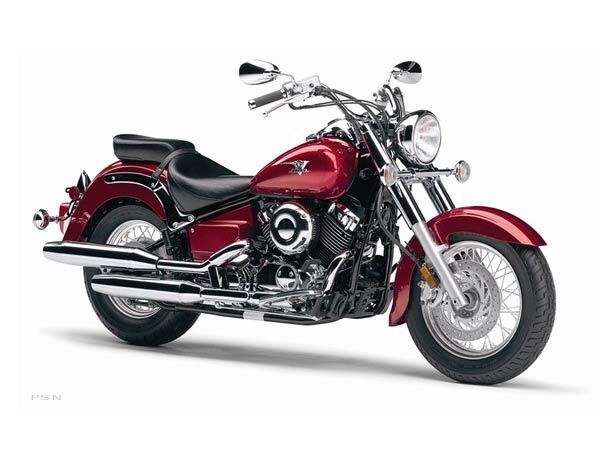 Wide, retro-style handlebars evoke a classic design with roomy ergonomics for enhanced rider comfort. Beautifully chromed and polished 40 cubic-inch (649 cc), air-cooled, SOHC 70° V-twin cranks out torquey low- and mid-range power with minimal engine rpm — maximum torque is reached at only 3,000 rpm — for powerful, smooth cruising performance. 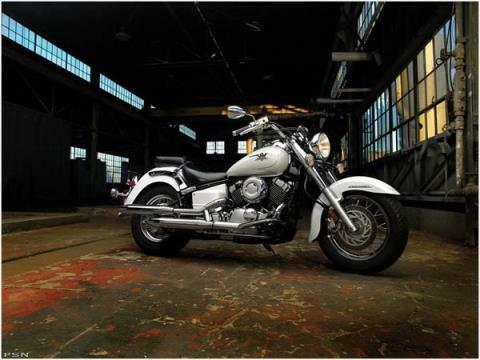 Retro style is even cooler when it's combined with modern engineering, including an OHC air-cooled V-twin and shaft drive. 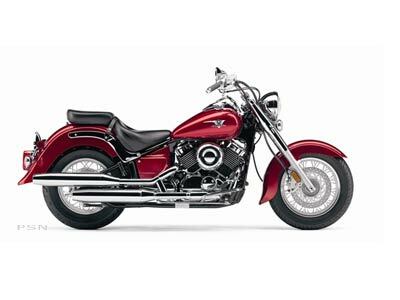 Rider floorboards, steel fenders, custom-looking clear turn signals, lots of chrome, etc. 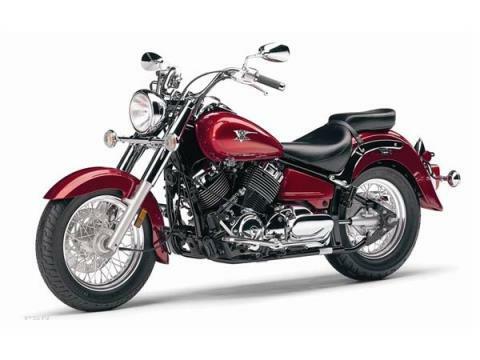 — the V Star Classic represents tremendous cruiser bang for the buck. Rigid-look frame provides a great ride via a hidden rear shock with 3.9 inches of travel.